Mom, the Intern: The status of my acne. The status of my acne. I'm sure you are all DYING to know about my previously-mentioned zit problem. Right? Ever since I posted a picture of my unedited acne face, I've been getting TONS of hits from people searching for ... you'll never guess ... "unedited acne face." I hope they downloaded that picture straight away and got a lot of Photoshop practice and made me look awesome! I hope they did NOT deface me and turn my skin green like Elphaba and make my eyes red and then plaster it all over Teh Interwebz. Or airbrush my clothes off. Because ... yeah. Anyway, drum roll ......... my acne is pretty much gone. Hurray! Here is my new face, without a stitch of make-up. I wish I had some glorious breakthrough in skin-clearing technology to share with you all, but I am actually not sure how it happened. I may have just grown out of it or got over whatever ailment was causing me to pustule up like an awkward teen. The world may never know. I use it every night after I wash my face and also on mornings when I wash my hair, which doesn't happen often. Basically, if soap touches my face, this moisturizer is soon to follow. 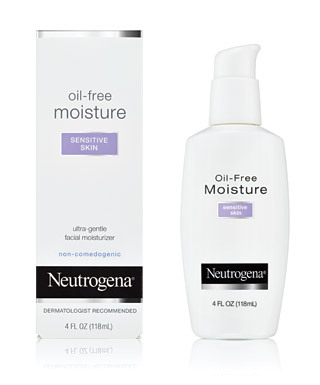 It is very light but quenches my dry skin well. I LOVE this make-up. It covers well, it goes on so smoothly and it smells nice. Oh yeah, and it's "age-defying!" 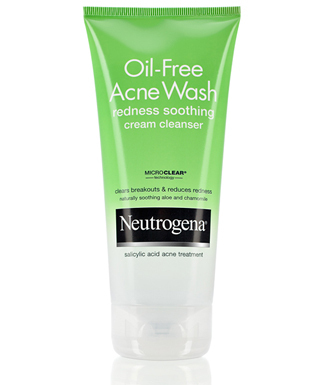 It also stays on rather well, so while washing my face, I add a tiny squirt of regular Softsoap hand soap to the green Neutrogena in my palm and that helps to remove it completely. A massive zit will still occasionally burst forth on my jaw line, usually in correspondence with my "time of the month" (sorry, Bapa*). But they seem to be going away more quickly. I am really, really glad. Those zits were not only unsightly but rather painful. And now the strangers at Wal-Mart think I'm an 18-year-old with two kids instead of a 14-year-old, so the stares aren't quite as judgmental. Also, as soon as I hit "Publish" I'm going to get a big fat honking zit. I just know it. *Bapa is my husband's 80-years-young grandfather. He faithfully reads my blog but he doesn't really enjoy the talk of "womanly things." So, I try to keep it to a minimum for his sake. I'm dealing with one of those aforementioned monster zits that predicates the arrival of the ever lovely aunt flo. Save me. Awesome, you look great without make-up! And I'm glad you found something that worked for you! Going out to buy this stat! My skin is so oily--ugh! Wow, your face looks great without makeup. I'm going to try some of those beauty products! I'm so incredibly jealous of your gorgeous skin! I'm not sure anything will cure MY icky acne issues. You look lovely Jenna! So glad you found a system that works for you. I used to use Dermatalogica stuff, but it's so $$$ I cannot justify it (it was a blog sponsored "gift.") So now I am on the look out for something close! I'm going out and buying all of these things today. I'm freaking almost 30and still look like a teenager. I hate it! Going to try it NOW! I am wondering though, do you have sensitive skin? I do have sensitive skin. Fo' sho'. I’m happy that you found a solution to your acne! 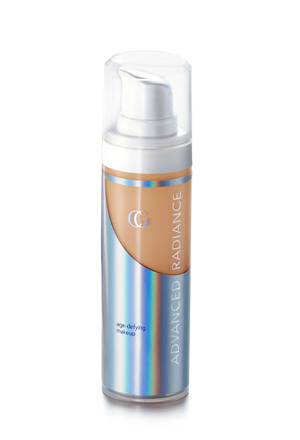 I used to have problems with acne too, and I’ve tried several over the counter products, but none worked for me. That’s why I ended up consulting a dermatologist. She told me that I might be sensitive to such products, and advised for me to use natural product. And for months up to now, I am free from acne. My theory is that the soothing essence in chamomile helped a lot. After all, it’s the stress that’s one of the major causes of breakouts. So, maybe all it needed was a calming agent to help it relax. Of course, that isn’t the case for everyone. Anyway, I’m glad you find one that works for you. Cheers!